Just a few hours ago my kitchen was filled with people, huddled hysterically calmly and waiting to yell “Surprise!” when the unsuspecting birthday girl walked in. We were gathered to celebrate the 50th birthday of someone we all love – my friend Carey. Even though the dishes are done (thank you David!) 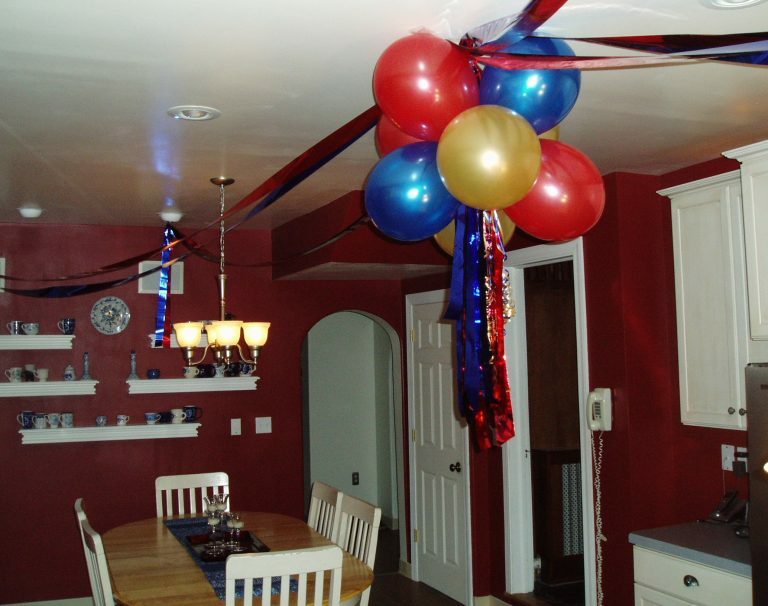 and the food has been cleared away, I’ve decided to leave the decorations up for a while…as a reminder of love. Family love, friendship love, it’s all pretty wonderful, whether you are the recipient, or you have the privilege of watching someone else be showered. It was our time to shower Carey with love. I’ll take the balloons down eventually. But for now they serve as evidence that love was here today. Showered with love…yes…a perfect choice of words! Never have I recieved such an outpouring of love. My heart is full! I can’t even find the right words to say. My humble and sincere thanks to all who gave me one of the most precious gifts I have ever received. I love you all.